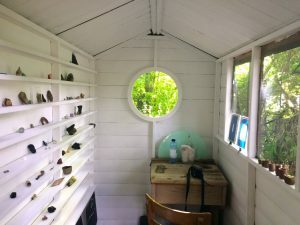 Over the summer months our Resident Artist Ellie Doney will lead a series of 4 public ‘digs’, urban mudlarking, excavating, analysing & archiving found materials. This method of early photography captures the shadow or trace of an abject, which we will animate by creating a little blue flipbook. We begin with a guided dig and foraging session on site for a range of items old or new, natural or manmade, to make a series of sun-prints or Cyanotypes. We will then bind our prints into one-off little flipbook animations of the materials of Phytology to take home. The workshop will be followed by a free shared lunch from 1-2pm. Please feel free to bring some food to share!